These are a few of the comments I hear from my clients who are not living harmoniously. 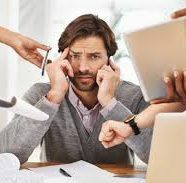 Our ADD world and addictions to social media and media have to lead us into a 24 hour possible work day and way too much information that is creating anxiety, overwhelm, overstimulation and major stress on our body! There is no balance in life, but you can find harmony/freedom/happiness/fulfillment. First, let’s look at what is wellness and harmony would look like for you? You can stay present, focused, and even positive when life’s chaos is causing most people to be fearful and distracted. You know how to beat stress every time it comes up. You DON’T get freaked out over little things, big things, bad days. You know your “process” to get into the state of mind needed to be creative, to connect with others, to serve with real excellence. You know HOW to set real BOUNDARIES… so that you are living YOUR life, on your terms, while still meeting your obligations, taking care of others, and collaborating to get more done faster. You know EXACTLY what to do when you get “down,” when you are sad, frustrated, or feel like giving up. As you can see from the list above and most likely experience if you can relate to the list is that being out of life/work harmony is destructive to your life. It destroys your relationships, health, creativity, and careers. This podcast Prakash Chandran, of Together SB, and I made for you is packed full of practical solutions. We’d love to hear your feedback and what you’re releasing and replacing to bring more harmony into your life and work. Walk your own path in your business and life.